Sometimes things just don’t seem to come together the way I want. Take the painting I was working on yesterday, for instance. I liked the idea, but the execution was escaping me. Today, however, it seems to be coming together, albeit on a completely new surface. 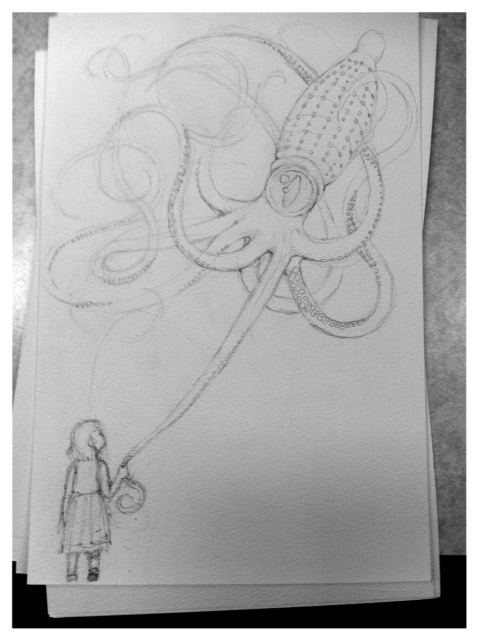 This entry was posted in creativity and tagged Drawing, drawing, monsters, postaday2011, Sqiud. Bookmark the permalink.